You could say that insurance and financial services are in Jonathan Kearn’s blood. Growing up in South Florida, as the son of an insurance industry top producer, Jon was exposed to the world of financial solutions from an early age. From family trips to insurance industry conventions to summer internships in the family business, Jon’s working knowledge of the industry exceeds his twelve years of private practice experience. Jon began his professional career with New York Life, designing individual retirement funding and distribution solutions. As his career advanced, he expanded his expertise to include designing business succession plans, ownership risk mitigation plans, wealth transfer plans, and estate plans. Over the last nine years Jon has managed the marketing, client acquisition, business operations, plan design implementation and review for Kearn and Associates, an insurance brokerage established in 1974. While he was with New York Life, Jon earned multiple Top Producer awards and was a member of the MDRT Mentor Program, GLI Elite Leader Program and Annuity Champion Elite Circle. 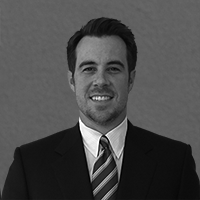 Jonathan Kearn is affiliated with Valmark Securities, Inc. Securities offered through Valmark Securities, Inc. Member FINRA, SIPC, 130 Springside Drive, Akron, OH 44333-2431* 1-800-765-5201. Fulcrum Partners LLC is a separate entity from Valmark Securities, Inc.
Jon and his wife, Nikki, and two children Taylor and Colton live in Central Florida, where they are actively involved in their church and the community. An avid golfer, Jon enjoys amateur golf tournaments and most outdoor activities and sports. Jon and Nikki are active members of First Baptist Church Orlando. 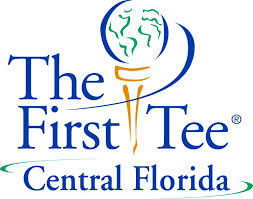 An avid golfer, Jon has been a volunteer with The First Tee Central Florida, a 501(c)(3) non-profit organization created to impact the lives of young people by providing educational programs that build character, instill life-enhancing values, and promote healthy choices through the game of golf. Email Jonathan Kearn of Fulcrum Partners: jon.kearn@fulcrumpartnersllc.com.